Dr. Maya Angelou, one of the most storied poets in our nation, celebrates Black History Month by hosting a special program on public radio. Special guests that include Chris Rock, Common, and Film Director Lee Daniels and others will air on a local station near you. Listen here to Chris Rock On Family Support (Excerpt) interview. This February as Maya Angelou receives the President's Medal of Freedom, she will host her first-ever public radio program, available to all PRI, Public Radio International, affiliated stations and African American Consortium stations. Intimate and provocative stories, poems and conversations will illuminate African American history including comedy, film and family life, rounding out the hour with memories of "mother and sister friend," the late civil rights activist Dorothy Height. 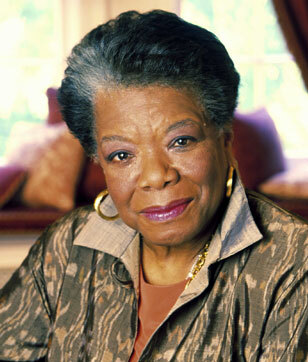 On comedy Maya Angelou observes, "Often in the black culture it is said, we laughed to keep from crying." Joined by comedian Chris Rock, they discuss Rock's childhood in Brooklyn, rise to Saturday Night Live and his view on comedy. As Rock defines the comic currents of our time, Maya Angelou offers historical perspective, reflecting on the 1930's and 1940's including Dusty Fletcher's "Open the Door Richard" and the brilliance of early comedians who literally set the stage for African American comedy. 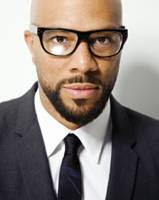 From the stage of the Urban League's 100th Anniversary Celebration, the esteemed poet and the rapper Common perform a glittering "Old School/New School" call and response. Maya Angelou recites each stanza of "Songs of the Old Ones," as Common interprets in what Angelou observes as "his preferred language of hip hop." A film director in her own right, Down in the Delta (1988), Angelou explores African American films with a focus on the work of director Lee Daniels. Daniels and Angelou discuss the success of his movie "Precious" and how work from this filmmaker can impact and change dialogue in American Culture.